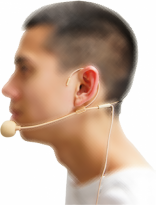 Zavox Unilateral Ear Microphone has an adjustable boom microphone and loops over the ear, left or right side. Zavox ZX-61 Unilateral Ear Microphone is fairly discreet and very comfortable. 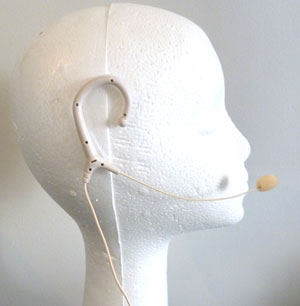 It loops over the ear and can be adjusted with the flexible ear piece. It can be worn either on the left or right ear and is still comfortable when also wearing eye glasses. The boom microphone can be positioned close to the mouth to better pick up the speech of the wearer.